Villemain [Left] and Renaud [Right] - Two for the road! 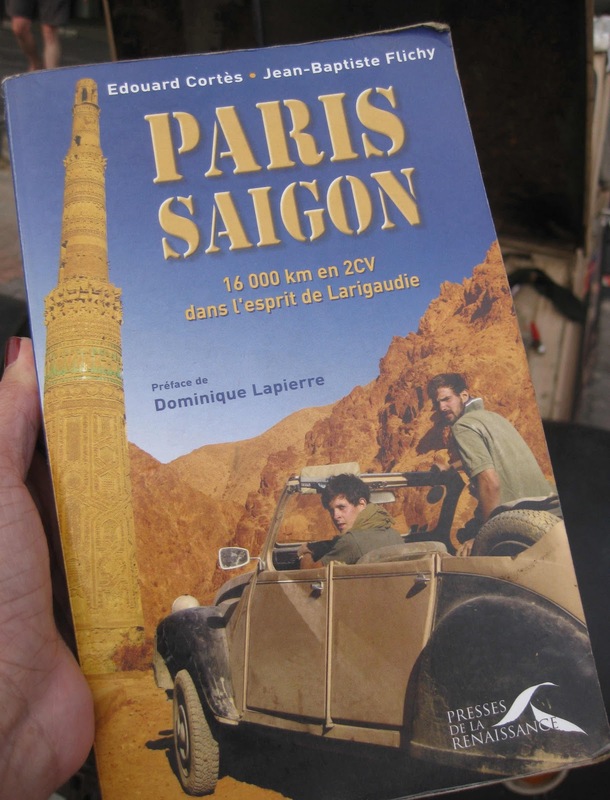 IT all started in 2005 when Frenchman Tristan Villemain read Paris Saigon. 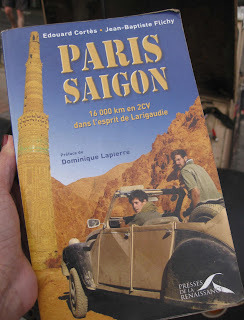 That book records a road trip by Edouard Cortes and Jean-Baptiste Flichy, in a Citroen 2CV they named Bucephale, over 16,000km from Paris via Kabul to Saigon, now known as Ho Chi Minh City, in 2003. 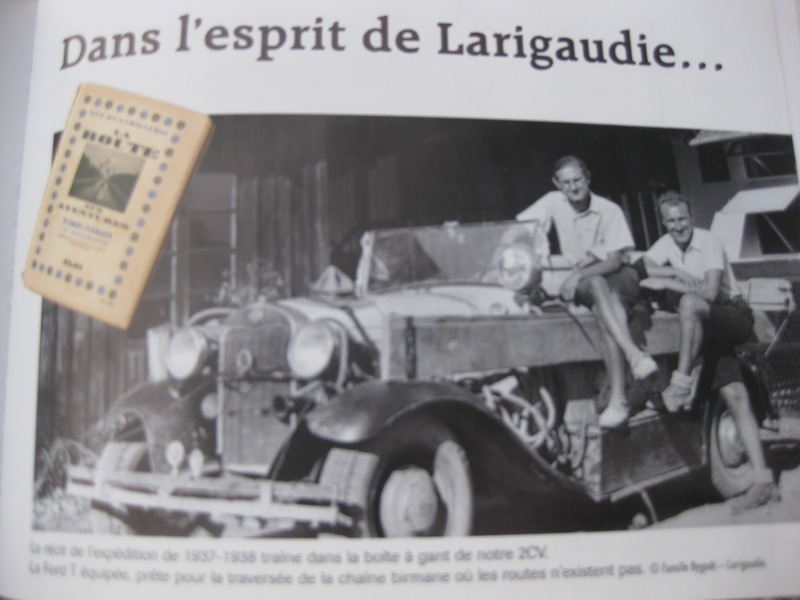 Their adventure was inspired by the first Paris-to-Saigon car rally pair, Guy de Larigaudie and Roger Drapier, who left Paris in July 1937 in a second-hand car and arrived in Saigon eight months later after 12,000km and 16 countries. Sixty-seven years later, Cortes and Flichy followed that route and had their Paris-Kabul-Saigon adventure published in a book in 2005. Villemain was so fascinated by Cortes and Flichy’s adventure that he read the book six times and dreamt about taking the same route. He learnt that Cortes and Flichy left Bucephale behind when they returned to Paris in 2003 and their book included an appeal to help repatriate the car back to Paris. As Villemain considered how Cortes and Flichy acted on their dream, he was restless with a desire to follow his dream to travel the world. So in that same spirit, he took up the challenge on page 325. Now, Flichy already had a few responses to his challenge but he must have felt Villemain’s earnest interest. After more detailed discussions, Flichy gave him the car keys and drew a map to help him find Bucephale, which was left in a strip of no-man’s land between Vietnam and Cambodia. Bucephale in a sorry state when she was found in no-man's land! In 2007, armed with Flichy’s map and a compass, Villemain went to Cambodia and found the car abandoned in an overgrown field. He recognised Bucephale instantly because it had the outlines of the world map and the words “Paris-Kabul-Saigon” painted on its sides, but she was in a sorry state. Flichy had found a man to keep an eye on Bucephale for US$1 (RM3.20) a day and when Villemain offered to buy it, the man wanted a price calculated up to that current date. The price was way too high, but Villemain managed to whittle the sum down over three weeks before striking a deal to buy it as scrap metal! The Citroen 2CV is one of France’s most iconic cars, but Bucephale was now nothing more than a pile of scrap. The name Bucephale painted on her hood is the French version of Bucephalus, the Greek name for the legendary horse that Alexander The Great rode. It was an apt name for the car as it had already conquered 16,000km from Paris to Saigon in 2003, and now it was up to Villemain to make her road-worthy again for the journey back to Paris. In Cambodia, Villemain met Philippe, a Belgian doctor who lived in the quiet riverside town of Kampot just a few kilometres from the Gulf of Thailand. The car was towed and parked under Philippe’s house which was built on stilts. It was a secure resting place for the car and Villemain left for Paris to make plans on how to rebuild her. Having come this far, Villemain was optimistic. Besides looking for the necessary car parts, he had to find a mechanic who was not only skilled but willing to go to Vietnam with him. In the meantime, there was plenty to do to raise awareness and support for this venture, and find a fellow adventurer to join him in bringing Bucephale back to Paris. 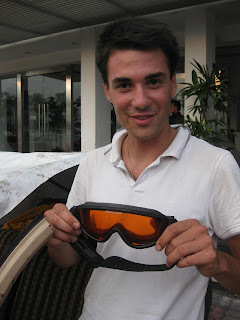 Then in 2008, he received an email from Philippe with a photo of Bucephale almost totally submerged by flood waters. But Villemain refused to give up. 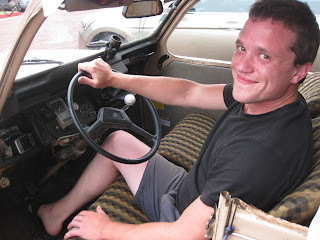 He bought a used Citroen 2CV engine and shipped it to Kampot, timing it for delivery in November 2009, when he and mechanic Dominique Surget would arrive. Villemain’s infectious enthusiasm gained the support of many in France. Funds were raised with the help of family and friends. In fact, fellow countryman Quentin Renaud was so keen that he sold his apartment and car and left his carpenter job to join Villemain on the trip. After a month spent rebuilding Bucephale, she was ready for the road. On Dec 29, 2009, Villemain and Renaud started their Saigon-New York-Paris adventure — the first such trip — which would cover 35,000km and five continents. Leaving Vietnam, they drove through Cambodia and Thailand, stopping in Phuket to enjoy its beaches before arriving in Malaysia on Jan 11, 2010.
in Bucephale when it rains! They were in Kuala Kedah, asking for directions to the beach when they met John Tan, who was admiring Bucephale. 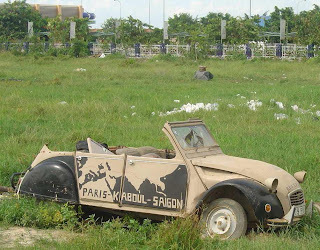 With her canopy made of makeshift plastic sheets secured on removable pipes and her sides emblazoned with a world map, now repainted with the words “Saigon-New York-Paris”, she stood out among other cars in the seaside town. The affable Tan not only showed them the beautiful seaside of Kuala Kedah, but also directed them to Penang’s popular Batu Feringghi. 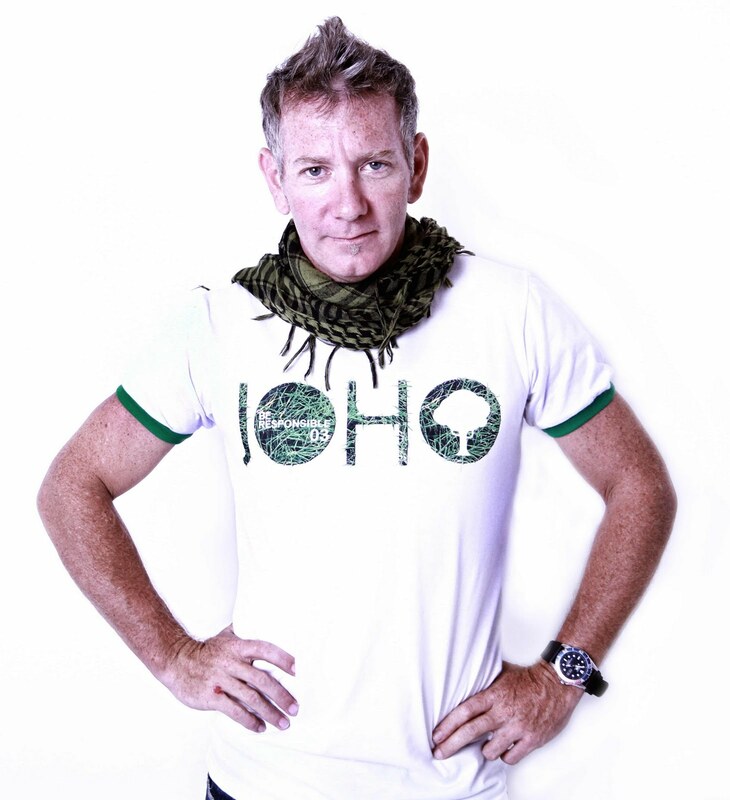 Later, he joined them to walk on the skybridge of the Petronas Twin Towers in Kuala Lumpur and showed them the sights and Peranakan culture in Malacca en route to Danga Bay, Johor Baru. There, he introduced them to friends in the Iskandar Regional Development Authority who extended warm hospitality and helped them with immigration and forwarding procedures to ship Bucephale to their next destination, Indonesia. Speaking in halting English, Villemain recalled with a shudder that he saw frogs in a Cambodian market, stripped of their skin alive. And though Renaud has a more adventurous palate, he was just as horrified to see deep-fried insects eaten as snacks in Thailand. These were some of their bizarre experiences. Having devised a “cruise-control” feature in Bucephale, they enjoyed our comfortable highways but with our sudden tropical downpours, Villemain quipped that he would wear his swimming goggles and pop his head out of Bucephale for a clearer view rather than wait for the slow wipers to clear the windscreen! Designed for low-cost, simplicity of use, versatility, reliability and off-road driving, the Citroen 2CV is technologically advanced. 2CV, which means deux chevaux vapeur in French, literally translated as “two steam horses” from the horsepower rating, is an economical car produced by Citroen from 1948 to 1990. The adventurers’ onward journey has taken them to Australia, where they are still discovering much of the rugged land. Then they will travel across the Pacific Ocean to South America before heading north to New York and then home to Paris. Even if you don’t read French, you can follow their exciting trail with photos at http://letapesuivante.free.fr/. WHILE modern entrepreneurs are starting chic little coffee shops with retro furniture and fixtures, Hua Mui restaurant is continuing with its 60-year-old tradition. Ask anyone who grew up in Johor Baru and they’ll tell you about this landmark kopitiam in Jalan Trus that’s run by the Chiang family. I was introduced to Hua Mui by my street-smart schoolmates during our walks to the town library which was then located beside the main Post Office. In those days, it was a special treat to enjoy a snack or a cold drink at Hua Mui whenever we had a little extra pocket money. When the business started in the 50s, its clientele comprised mainly European government officers, their friends and families. That was probably because it’s located within walking distance from the Sultan Ibrahim building in Bukit Timbalan which housed the state administrative offices. Its menu of western dishes and local favourites must have contributed to the attraction. The ambience at Hua Mui is typical of a busy kopitiam. It is only mid-morning, but the ground floor tables are already taken up so I usher my friends upstairs. The wooden banister feels smooth, worn down probably by the thousands of customers who make their way up and down these very stairs daily. I imagine that most of the British men and women who once lived in Johor Baru had also walked the same stairs to reach the private booths that lined one wall of the section upstairs. The booths have since been removed and replaced by modern rectangular tables. But there are still a few old-fashioned marble-top tables. 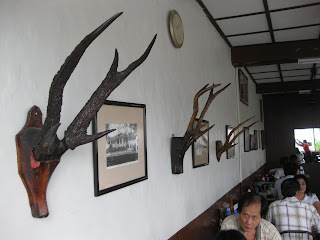 The walls upstairs are adorned by old black-and-white photos of Johor Baru and several sets of deer antlers. The customers are made up of business suited lawyer types, middle-aged men and women and youngsters with trendy hairstyles. No wonder it’s always so crowded because everyone seems to be making Hua Mui their regular rendezvous! Patrons at another table place their orders without looking at the menu. They must be regulars who already know what they want! 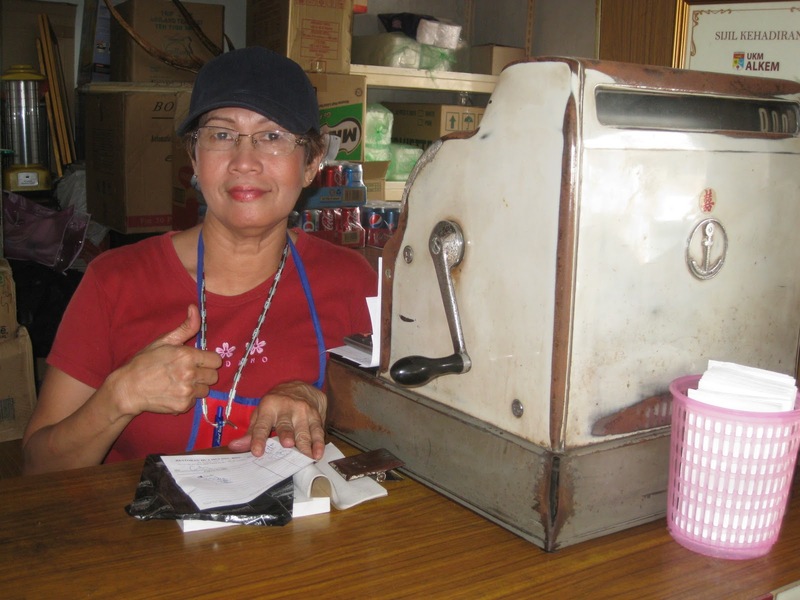 When waitress Mariam Ibrahim comes to our table, I order hot coffee and roti kahwin (charcoal toasted slices of bread spread with butter and a thick layer of kaya). While my friends are studying the menu, I chat with Mariam and learn that she has been working at the restaurant for more than 30 years. Mariam happily posed with the cash register that was recently in use at the payment counter downstairs. In the 60’s this was a very modern piece of equipment but today it’s kept as a cherished memento of a bygone era. My mind goes back to my school days and I recall that the former waiters and waitresses were also loyal, long-serving staff. At this point I am convinced that the colonial charm of Hua Mui is not only in its clever blend of Western-Hainanese menu but also in the ageing beauty of its staff! 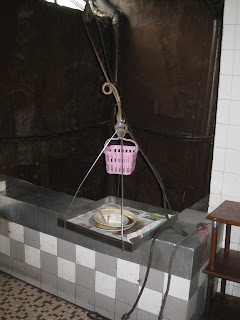 Ancient dumb waiter still in use at Hua Mui! When the food comes, there’s something for everyone — the signature fried kway teow with a side of sliced cili padi, nasi goreng kampung, stacks of kaya toast and chicken chop topped with mushroom sauce and a side of fried potato wedges, a dish that’s reputed to be the best in town! To settle the bill, the Hua Mui method is to tally up a list, written on a little bill with a carbon-copy in a booklet at the upstairs counter before going to pay downstairs. As I stand near the counter, I watch in fascination as a worker loads the ancient dumbwaiter with used dishes before lowering it through an air-well to the kitchen below. A short while later, the dumbwaiter comes back up, loaded with plates of food for serving to customers. Halal certified Restoran Hua Mui, located at No. 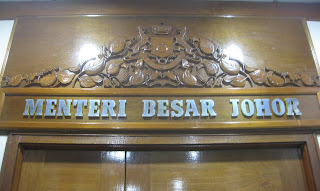 131 Jalan Trus, Johor Baru, is open daily from 8am to 6pm. At peak hours and on weekends, it’s usually crowded so plan your visit to avoid disappointment. 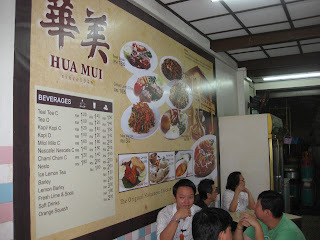 Alternatively, visit Restoran Hua Mui Sutera at No. 50 Jalan Tanjung 8/4, Taman Sutera Utama in Skudai, open from 7.30am to 9.30pm. For enquiries, Tel: 607 – 224 7364 (Johor Baru) or Tel: 607 – 556 4086 (Taman Sutera). YEAR after year I noticed that Bryan, my friend who's half-Chinese, seems to be celebrating Chinese New Year more seriously than the Chinese. As his wife gave me the dates of the various gatherings planned for this year's celebrations, we agreed it is wise to hold them at his widowed mother's house. At age 89, Bryan's mother is still able to travel. Nevertheless, the family decided to gather in her house for her comfort and convenience. "As long as mum is still around, the show will go on," quipped Bryan in a text message. This is the sentiment of many families who keep the tradition of the reunion dinner on the eve of Chinese New Year with the senior surviving member of their family. It got me thinking about what will happen after the family matriarch is gone. Will family reunions then be a thing of the past? The sentiments attached to the annual reunion dinner reflect the Chinese emphasis on filial piety and family ethics. When the family gathers for this special feast, it symbolises unity, gratitude and the value of spending important occasions with family. Families the world over return to their kampung or hometowns for their annual family Hari Raya, Deepavali, Thanksgiving or Christmas dinners with the same sentiment. For me, it's a special time of family togetherness, feasting on mum's lovingly cooked specialties, reminiscing about our past and creating more memories to cherish together. 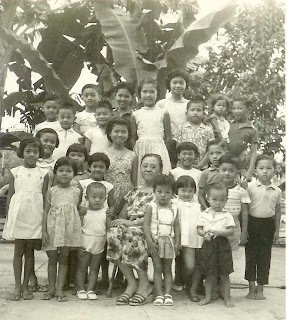 Our grandparents' home at 154, Jalan Ngee Heng in Johor Baru was once the "headquarters" where their children, grandchildren, relatives and close friends gathered for the reunion dinner. I will never forget the amount of food that grandma used to cook in her large kitchen. The most unforgettable dish must be her signature "lor ark" or Teochew-styled braised duck, which she would personally cook and serve us. Her duck dish was such a hit that some of her sons-in-law come to savour it every year. Being home for this annual feast is a special time, especially for those who live apart or abroad, who go to great lengths to ensure they get home in time for this meal. It is an annual opportunity for siblings, in-laws and cousins to meet and renew their bonds. Some parents bring their children back to their hometowns to show them their proud "roots" or humble beginnings. For city folks, visiting their grandfather's house in the village can either be an adventure or a nightmare. The traditional steamboat meal is a favourite as family members can bond as they prepare the food and later at night as they gather around a bubbling pot of rich broth to cook and eat a hot meal together. Nowadays, many families choose to enjoy their reunion dinner in restaurants, but because there are usually two time slots, eating out is stressful and rather rushed. Giving the elderly their due respect, my preferred choice is still a leisurely meal at home. In the comfort of our home, we also have the convenience to chop or blend the food to make it more palatable for the elderly. Looking back on how our grandma used to organise and cater to huge family reunion dinners every year, it just takes a little effort now for the family to celebrate with her in her twilight years. With the passing of each year, our elders are getting older. Festive seasons are therefore opportunities to share quality time with the elderly, as it may be their last celebration with us. 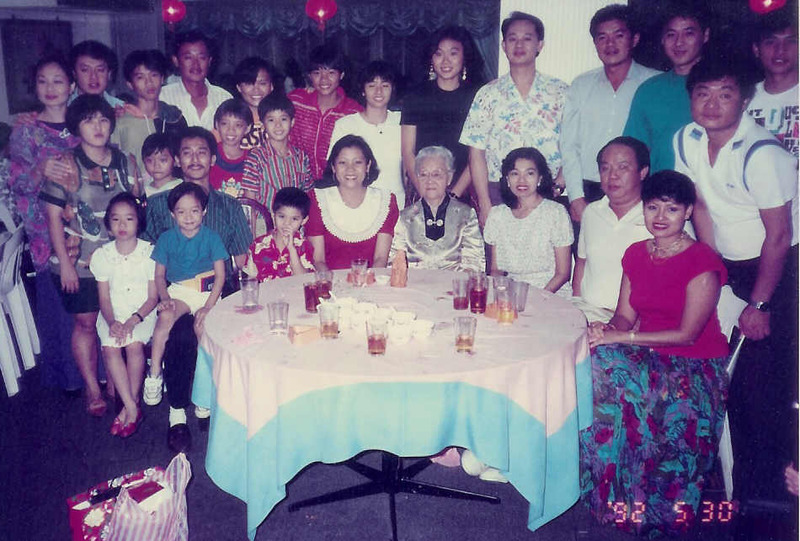 Like Bryan, many families are keeping the tradition of reunion dinners as long as the family patriarch or matriarch is around. Sadly, many families cease to gather for reunions because there is no grandparent's house to go to. Still, many families continue the tradition in the home of the eldest sibling. To reduce the stress of cleaning up after celebrations, some families organise their reunions in hotels or resorts where the family also spends a weekend together. Our 98-year-old grandma is no longer able to travel, and so she stays put while the family goes to celebrate with her. After marking grandma's 80th and 90th birthdays with grand celebrations, every new day with her is a bonus now. At Chinese New Year, the reunion dinner is perfect for letting her know how much she's loved. So don't let time, distance or expense keep you away from sharing special moments with your parents or grandparents, who probably have been looking forward to this festive season to see you and your family again. We had a joyous time spending another Chinese New Year with grandma. 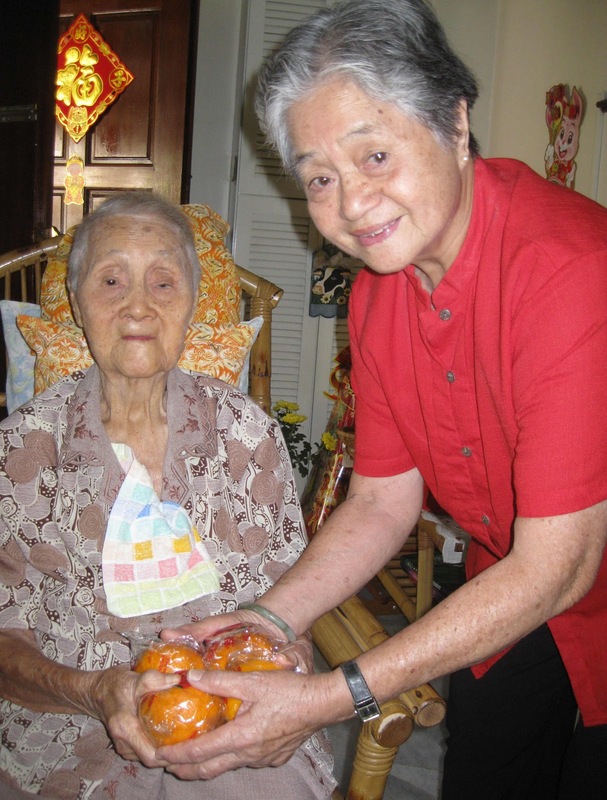 While her mind may not be able to grasp all that was happening around her, she graciously acknowledged greetings and accepted gifts of oranges and ang pau. At least 4 families travelled from Johor Baru to be with grandma in USJ Subang Jaya, Selangor this Chinese New Year. 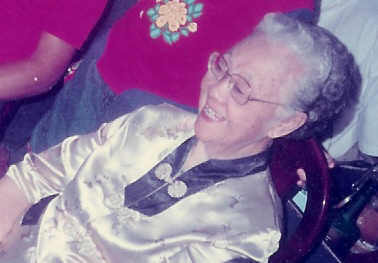 Grandma will turn 99 years old on her birthday in 2011. 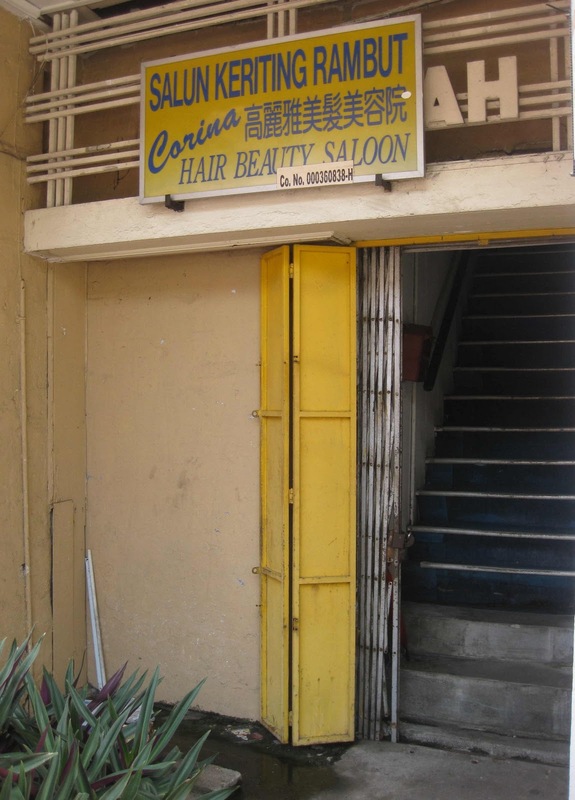 Walking along Jalan Trus, I paused at the entrance of an obscure looking shop-front when I read "Corina Hair Beauty Saloon" on the signboard. Hair salons or beauty parlours are typically named after girls so I would guess this shop opened around 1960 when Ray Peterson made the song "Corinna, Corinna" popular. There's nothing spectacular about the narrow, steep steps that led upstairs but I stood there reminiscing because this is where I experienced my first salon shampoo. I remember we were going out to a party and my friend, Siok, who lived in nearby Jalan Dhoby, brought me along for this indulgence before heading for her house to dress up for our night out. 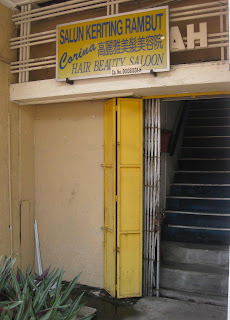 I am familiar with beauty salons because since we were little girls, my sisters and I would go with granny, mum or our aunties to our regular hairdresser located in a block of shops close to the former Rex and Lido cinemas in Jalan Wong Ah Fook. I don't know this salon's name but I do recall it was run by a hairdresser and her seamstress sister who were both married to the same man. Since we usually went in a group, there were always long waits. I remember watching in awe as mum and other tai-tai's had their hair washed, rolled and set under a helmet blower, and then elaborately coiffured into a beehive. It was then very fashionable to back comb bunches of hair to add body. I remember how I had to pinch my nose to shut out that noxious smell of the hair spray that was spritzed on generously to hold the bouffant. 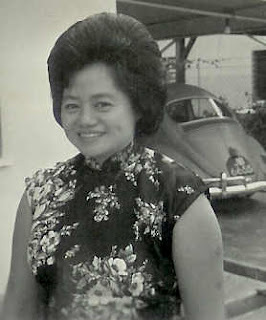 This hairdresser was particularly skilled at styling granny's hair that was curled not with rollers, but using an archaic method, called tah soi por in Cantonese, that probably no longer exists today. Small bunches of granny's hair would be wound into tiny coils and secured by hair-grips all over her scalp before being wrapped in a hair net. After her ears were protected by plastic covers, her hair was set under a helmet blower. At the "ding" that signaled the end of the setting session, the hair grips were removed leaving tight coils of hair that were combed out and styled in neat waves with the help of heaps of hair spray. Last week my sister asked me to take her to my hairdresser. I was surprised and wondered why because she had her own regular hairdresser in Taman Ungku Tun Aminah. Then I learnt that it was because she couldn't get an appointment as her because her hairdresser was fully booked. After her recent trip abroad, my sister desperately needed to restyle her hair so when her hairdresser turned her down for the second time, she decided to go to my hairdresser. In the days prior to the Lunar New Year, I know that hairdressers enjoy a peak season because the Chinese traditionally make it a point to visit the barber or hairdresser to get a haircut or a new hairdo to complete a whole new look for the new year. I guess my sister's hairdresser was more focused on helping those keen to have their annual hair makeover as opposed to my sister who was only after her routine haircut. So I brought my sister to my hairdresser who gave her a most satisfactory new hairstyle. A few days later, I met my friend who had a new experience with his hairdresser. After his haircut, he would usually enjoy the relaxing ministrations of the shampoo girl but this time, instead of having his hair shampooed while seated on his chair, he was asked to recline on a seat with his head on the washbasin for a quick shampoo and rinse. When told that this was due to the peak season long queue, he could understand, but when he was charged an additional RM10 on top of his usual haircut and shampoo fee, he was stunned. My friend, a non-Chinese spending his first Lunar New Year here after living abroad for years, was rather miffed. Sensing his confusion, his hairdresser explained the Lunar New Year tradition of premium prices and how it augurs well for the Chinese who traditionally pay more for hair services because tow fatt" Cantonese for hair, has the auspicious sounding word fatt meaning "prosperity" in it. He added that the extra charges also helped hairdressers through the following low season. So, in spite of higher charges, we can expect long queues for shampoo and styling just before the Lunar New Year because the Chinese believe that abundant fortune and prosperity in the new year are also tied to how well their hair or fatt is groomed. Even if you don't need a haircut or don't want to pay premium prices, remember to shampoo before the start of the Lunar New Year because traditionally, no one will shampoo on the first day. It has nothing to do with being too busy eating or entertaining. It's because the Chinese don't want the good fortune to be washed away! Around 2001, if you noticed an Aussie guy riding a Vespa across the causeway, that would be me traveling regularly from Singapore to Johor Baru to meet Alisa, who’s now my wife. 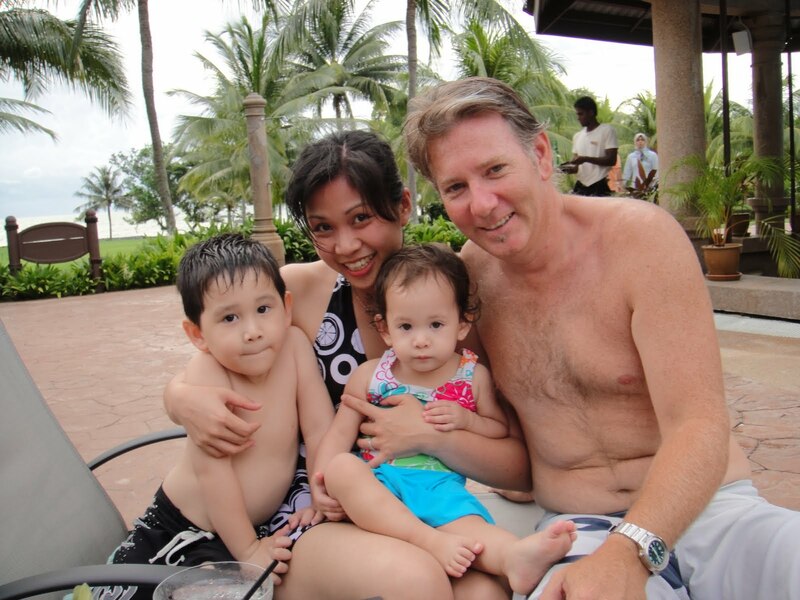 I’m from Melbourne but since 1996, I’ve lived and worked in Asia and I met Alisa in Singapore. She and her family, who are involved in a restaurant business, live in Johor Baru and after we were married, I moved to live here in 2003. At age 16, I discovered an interest in cinematography from my friend’s father who made TV commercials. I asked a lot of questions and learnt a great deal about cameras from him. My interest in cameras not only started me on a hobby in collecting cameras but it also set me up for a career in photography. Over time, my camera collection expanded and now I have 70 cameras in my collection. Besides collecting different makes and models, I would sometimes take old cameras apart and assemble them again. I would tinker around with old cameras, experimenting with various lenses and I eventually created my own camera! With a passion in photography and a big lover of old-school designs and craftsmanship I traveled throughout Asia to look at old buildings like the Raffles Hotel in Singapore, the E & O Hotel in Penang and The Strand in Vietnam. As I traveled around Johor, I saw many charming colonial buildings designed in a blend of Asian, European and Portuguese influenced architecture. I believe there’s nothing like this anywhere in the world! My parents, brother and other family members still live in Melbourne so my friends find it strange that I now live in Johor Baru especially after having lived in Singapore for 4 years. At first, I found it strange too but I’ve fallen in love with Asia and now I love this place. I enjoy living in Johor Baru so much that in February 2010, my wife and I opened an art gallery and lounge we call Lost Malaya in a colonial bungalow. It’s very rewarding to take a beautiful property and transform it into a place where people can come to chill out and especially where ladies can feel comfortable in. Sitting at the balcony, I can look out and see two countries because Lost Malaya commands a panoramic view of the Johor Straits with Singapore and the Danga islands in the distance. The charming ambience and spacious compound in Lost Malaya presents a perfect setting for private parties, especially outdoor events like barbecues for up to 100 guests. A regular at Lost Malaya told me that for some time, he used to drive along Jalan Skudai and noticed the building and was curious after reading our sign but did not venture in. 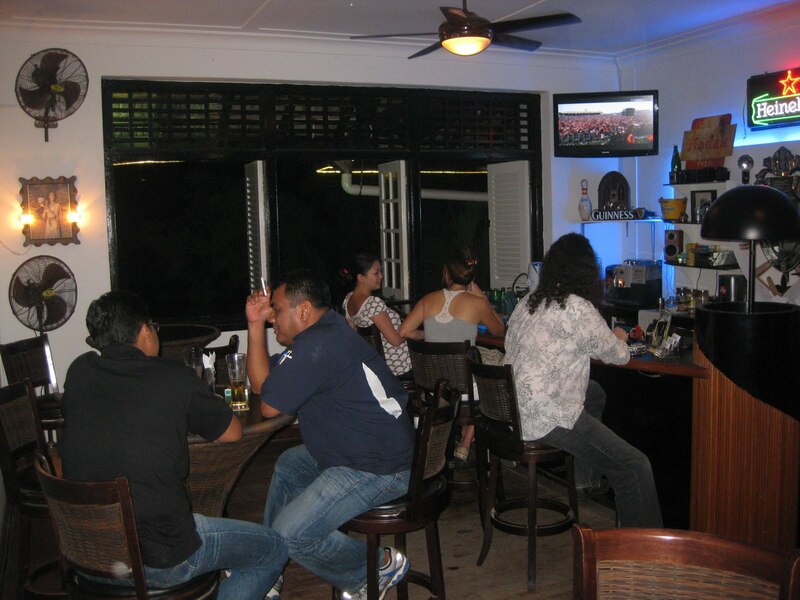 One day he finally decided to come in and was surprised to discover the colonial charm, laid back ambience and personalized service in Lost Malaya. Since that day, he’s been a regular and brought along other friends to experience what he discovered here. 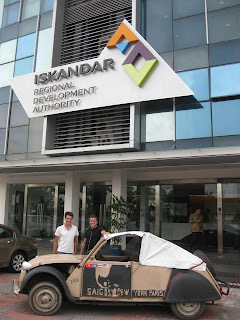 Another time, I was surprised when two Dutch girls found their way to Lost Malaya. Someone had shared their experience with them and after hearing about this place, they were just keen to see it for themselves. I just give credit to my wife, who in between caring for our 4-year old son, Shane and 2-year old daughter, Lyla, runs the place with a capable team while I’m away on work assignments. As Director of Photography for season 2 of The Biggest Loser Asia reality show, I’m often traveling and filming in the field. I was also involved in The Biggest Loser Asia season 1, seasons 1, 2 and 4 of The Amazing Race Asia and two seasons of The Contender America. I love working on these shows but I must say that I’ve never worked in a job with so much crying as in the Biggest Loser! In the last 6 months, I discovered a great deal of untapped talent in Johor Baru and am keen to create an art base for young artistes at Lost Malaya. To cultivate the art scene in Johor Baru, the Lost Malaya art gallery presented a series of three 2-month long exhibitions. It’s very encouraging that 50% of exhibits featured are by local talents and I believe that Lost Malaya can be an inspiration for creativity in Johor Baru. Four young men who call themselves Bonjoza Acoustic have been delighting fans of good acoustic music in Johor Baru for the past four years. Performing a repertoire of songs in its rich, rock bluesy, sometimes funky sound with “unplugged” versatility, this acoustic band has certainly won the hearts of an appreciative audience. 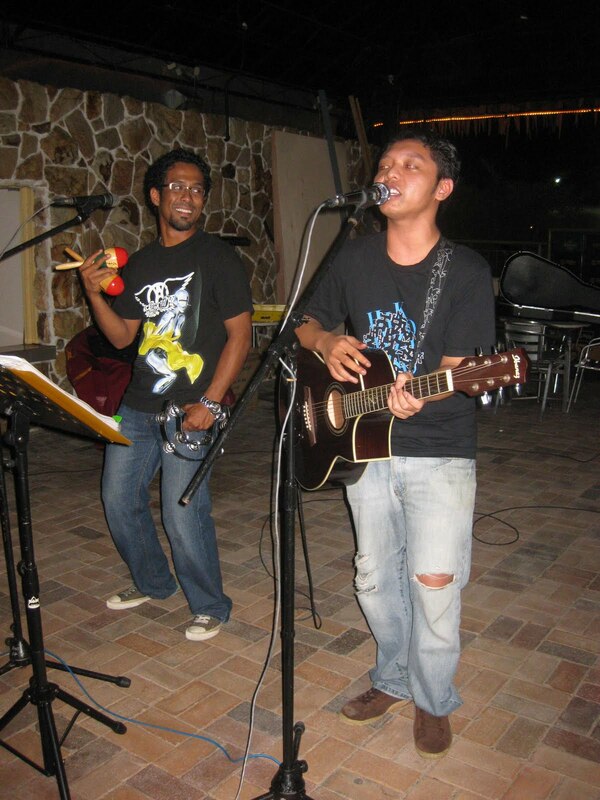 Romal Mohd Melvyn, who plays percussion instruments like tambourine, maracas and the blues harmonica, explained that it takes a greater skill to succeed as an acoustic band. Unlike electric bands where sounds are amplified, the acoustic band does not rely on electricity to amplify sound. In the acoustic genre, unconventional instruments are often used and it’s the combination of instruments that create an intimate soundscape. “Music is so distinct that every little mistake will be noticeable and that’s why acoustic music must be perfect,” explained Romal. Rhythm guitarist, Syazwan Tamini Md Shah and Romal provide lush vocals, singing soulful solos and delightful duets. Their passion for music is evident in every performance that comprises music ranging from slow rock, rhythm & blues, soul, jazz to dangdut. 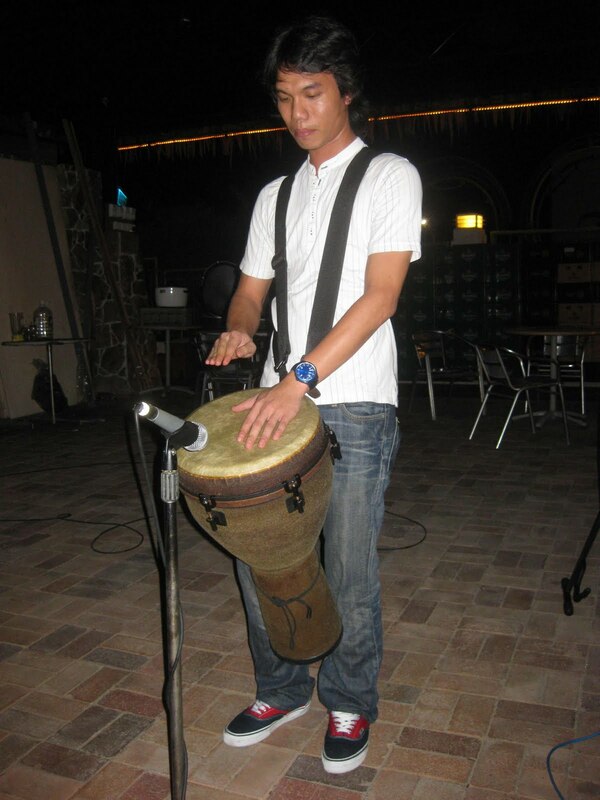 When Syazwan better known as Wan, was in school he learnt to play the angklung and kolintang, a traditional instrument that resembles a xylophone. Incidentally, his father is Md Shah, former keyboardist of Heavy Machine, renowned as Johor Baru’s most successful band that has the proud reputation as the “Chicago of Malaysia.” His father now plays with the jazz band of Yayasan Warisan Johor or Johor Heritage Foundation. Wan is modest about his famous father but aspires to attain the success that his father had with Heavy Machine. From his self-taught guitar skills to exquisite vocals, Wan has a special talent in singing in English and Chinese languages. He attributes his ability to speak in Mandarin to his Chinese mother and appreciates her help with his Cantonese. Drummer, Dzulfiquar Md Nor, otherwise known as Joy, plays a djembe, an African hand drum shaped like a goblet. With the djembe slung across his shoulders by straps, Joy plays adeptly to create a highly percussive rhythm for the band. Besides playing with Bonjoza Acoustic, Joy a versatile drummer, also plays with “Conflict Prankster,” a punk rock band. The fourth band member, affectionately called Angah, is Rohaizad Agil who plays lead guitar. He joined the band two and half years ago to replace original lead guitarist, Ronie Hj Borhan. With skills in playing keroncong music, he was a natural who quickly blended in and completed the 4-man band. The young talents in Bonjoza Acoustic have already made their mark in a circuit of small clubs, hotels and private events in Johor Baru but one of their most memorable gigs must be performing at the Annual Dinner of the Singapore Norwegian Expatriates Club. Held on a beautiful beach on Tioman Island, the exotic island setting and the evening’s excitement was enough to carve this special outing into their memories forever. This versatile band performs in English, Malay, Chinese, Spanish and Tagalog, mostly covers of current top hits as well as hits of yesteryears but fans would be thrilled to know that they are writing their own music and an album can be expected by the end of this year. With an average age of 24, pure passion and raw talent, this group of young men still has a way to go but for now, they are simply enjoying themselves doing what they obviously love. Bonjoza Acoustic has been entertaining in different gigs around the city and they perform and accept request from their enthusiastic audiences. 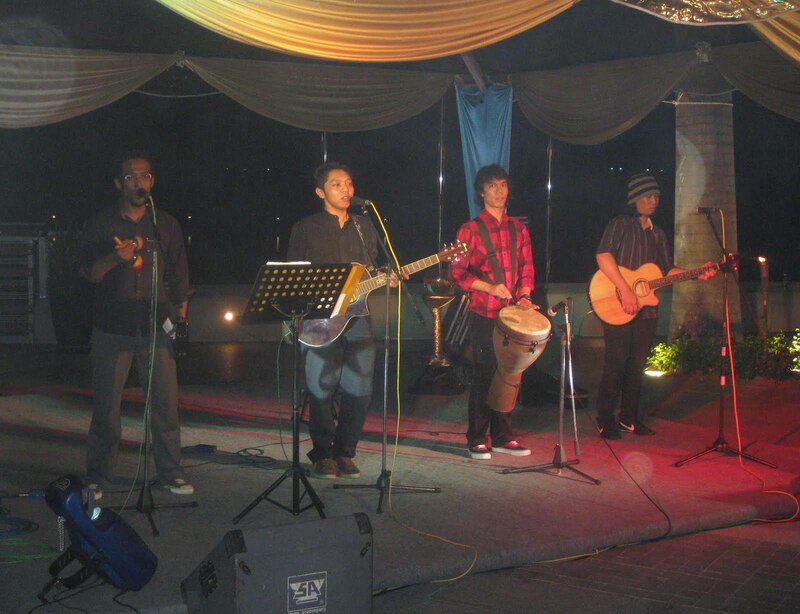 Recently they were performing on Friday’s and weekends at an alfresco bistro in Danga Bay. Set under the stars to a backdrop of the Johor Straits and glittering fairy lights festooned on the docked Danga 8 cruise ship, it’s the ideal setting for a night of blissful music. There are many acoustic bands with their own sounds and following but listen to Bonjoza Acoustic and then decide for yourself. Performances begin between 9.30pm and 10.00pm and ends around 1.00am. If your feet can’t stop tapping and your body can’t help grooving, then Bonjoza Acoustic certainly has something special going on. Happy Mothers' Day mum and gran! I was told that on the day I was born, mum went into labour while she was still working her normal hours. 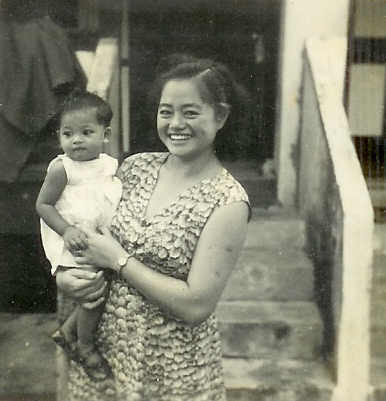 Unlike modern mums, many who are delicate and needed bed-rest to prepare for the onslaught of childbirth, my resilient mum worked her usual shifts as she carried me to full-term. She was then attached to the Maternity Ward of the General Hospital so I guess she could quickly get herself admitted at the first signs of labour. I was also told that while mum was in the labour room, dad was in another wing of the Hospital, not working but warded with symptoms of jaundice. 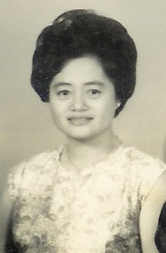 It was impossible for him to be by mum’s side to give her loving support but then, that was not encouraged in those days. Looking back, I realize it was a 3-in-1 affair because three of us – mum, dad and I, were patients in the same Hospital on my birthday! 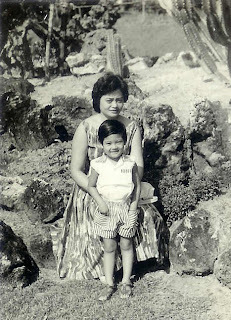 I remember how grandma reminded us to thank our mothers on our birthdays because they brought us into the world, often with great difficulty and certainly with much pain. Gran said that for each gift we received, our mother deserved another because of her hardship and sacrifices. Gran, a mother of 11 children by normal birth and one born during the Japanese Occupation, went through incredible struggles while she nursed her newborn, hiding the family in the jungle and evading capture by soldiers. Recalling gran’s reminder, I know we don’t have to wait for birthdays or Mothers Day to appreciate our mums because I learnt so much from mum, gran’s eldest daughter, as she put love into action with her own mother. After Ah Kong or grandpa passed away, it made sense that gran should not live alone so I invited her to live with us. Gran had an uncanny memory of people and places, and was a fountain of information as she shared her experiences. From a robust and strong-willed lady, I observed how gran gradually aged and grew less independent over time. Soon gran could not walk unaided and graduated from using a walking stick to a walker frame for support. To keep her more comfortable in bed, we invested in a higher hospital cot with complete features and a medical bubble mattress for better ventilation. Eventually as gran could no longer bathe herself, mum would bathe and dress her daily. Mum would cook separate nourishing meals suited to gran’s taste and serve her the shredded version so she could chew more easily. For her breakfast, bread crusts would be sliced off and the bread steamed before being spread with kaya and for meals, meat and vegetables would be mashed up for gran but surprisingly gran could still enjoy eating steamed fish and remove bones by herself! When gran refused to chew, the rice was blended with soup and dishes into a tasty gruel for gran to swallow without chewing! Mum, a retired nurse, has a natural compassion but she went beyond the call of duty to meet her mother’s increasingly demanding needs. It was a 24/7 commitment where all of us were mobilized to see to gran’s needs – massaging her limbs, taking her for drives and trying to make conversations with plenty of repetitions because gran’s hearing was also deteriorating. There was nothing too difficult to please gran because now the roles were reversed and we were caring for gran who once cared for us. For us it was Mothers Day everyday. I realize that as our mums advance with age, there are very few things they can appreciate only once a year so everyday is a celebration of the bonus time we share with them. Before she lost her hearing, sight or senses and for as long as she can appreciate our presence, it is the right time to show her that we care. Through my mum’s exemplary example with her mother, I know the priceless sacrifices of putting love into action. Three years ago, after being with us for almost 20 years, gran moved to live in the home of mum’s fourth sister in Kuala Lumpur. While there was great reluctance to see her leave our home, it was time for mum’s “retirement” from being gran’s main care-giver. Every year before the second Sunday of May, the media will bombard us with ideas to celebrate our mothers and appreciate them for being that constant guiding light in our lives. One day in the year we are urged to reflect on all the days and ways we have taken our mums for granted and to let her know that her mothering and caring was all worth it. Restaurants would be packed because most people would give mum a rest from the kitchen and treat her to a special meal in a restaurant of her choice. As Mothers Day rolls around each year I crack my brain to be creative with gifts so this year, besides the mandatory “mum’s-not-cooking” night where we’ll enjoy a special restaurant meal with mum, my sister and I will also take her to spend Mothers Day with her mum, our gran in Kuala Lumpur. At the ripe old age of 98, there isn’t much we can do with gran but to simply love her and enjoy being with her. Happy Mothers Day to all mums and grandma’s! Shortly after I took a friend from the US on a walking tour in the heart of Johor Bahru, I did that tour again but this time with a family of Australian friends. We covered Jalan Tan Hiok Nee, Jalan Dhoby and Jalan Trus with stops at quaint shops that are still doing the businesses that their grandfather’s started. We shopped and snacked on freshly made cakes and breads and also visited the Johor Bahru Chinese Heritage Museum. During the walk-about, we paused for a drink at Hua Mui restaurant at the corner of Jalan Trus and Jalan Dhoby. 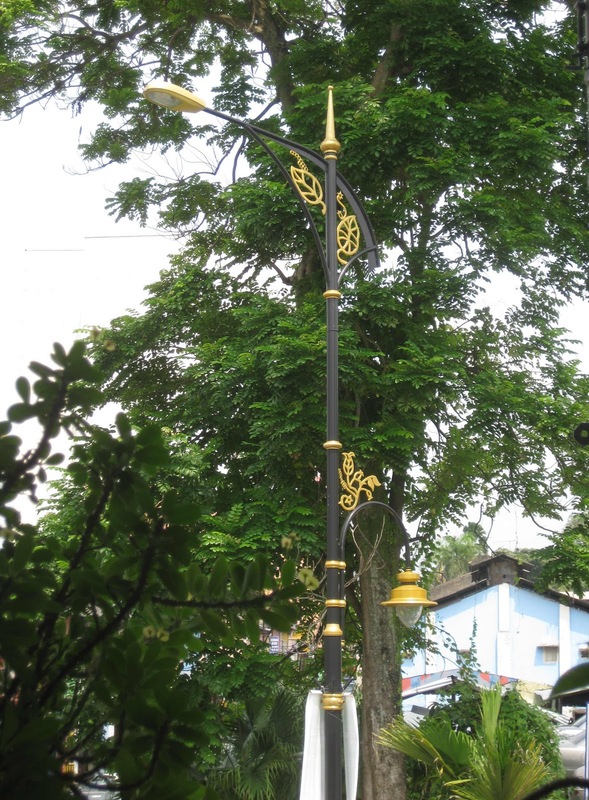 As we looked out of the open upstairs windows, the tops of lamp-posts were at eye level and a lively discussion ensued about the attractive motifs on the lamp-posts. Coming in from the airport, my friends had already noticed that these motifs were repeated in different designs on lamp-posts along highways as well as in various city streets! In the Sultan Abu Bakar Royal Museum in Istana Gardens, my friends had a glimpse of local culture and heritage and from the two sets of Chinese couplets that were presented by Chinese community leaders at the inauguration of the Johor Sultanate they got an idea of the warm relationship between the Chinese and Malay communities in the pioneering era. 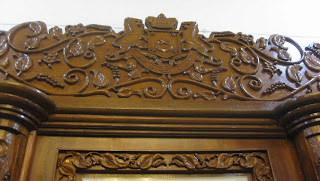 In the Throne Room, they saw that the tops of the two ornately designed thrones for the ruler and his consort that also had this pepper and gambier motif. 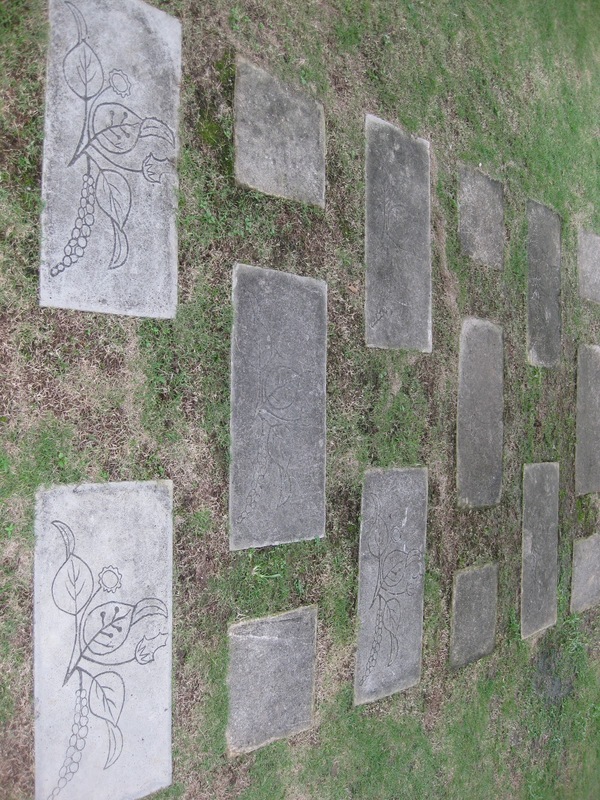 This design that features intertwined sprigs of pepper and gambier plants is probably so common in Johor that even many local people may not know the historical significance of these plants. From information gathered through researching about Johor’s Chinese heritage for my articles on the Johor Ancient Chinese Temple, annual Chingay Parade and Johor Bahru Chinese Heritage Museum, I learnt about Johor’s history and how the cultivation of pepper and gambier played a vital role in the state’s economy in the 1800’s. At that time, Johor’s ruler, Temenggong Ibrahim, adopted the ‘Kangchu’ system that was first introduced by Sir Stamford Raffles in Singapore. As the waterways was the main mode of transport to Johor from Singapore early settlers arrived by boat up the infamous Sungai Segget into the heart of Johor Bahru. Under the Temenggong Ibrahim administration, Chinese planters who arrived from Riau and Singapore obtained a permit known as, surat sungai, from the ruler to cultivate pepper and gambier. The permit holders were kangchu’s or river masters and their plots were named after them as Tan chu kang or Lim chu kang, and some of Johor’s prominent kangchu’s were Tan Kai Soon, Tan Hiok Nee, Lim Ah Siang and Wong Ah Fook. Kang means “river” in Teochew dialect, while a kangkar is the disembarking point, usually its middle or upper reaches along the river. As Chinese immigrants prospered in Johor Bahru, pepper and gambier cultivation became widespread. Johor was the world’s largest producer of gambier in the 1880’s because large plantations were cultivated with pepper and gambier as the state’s economic crops. In Singapore, names like Chua Chu Kang and Yeo Chu Kang are still used for those areas that were once huge plantations while Johor Baru still has places like Kangkar Tebrau and Kangkar Pulai as a legacy of this plantation culture. 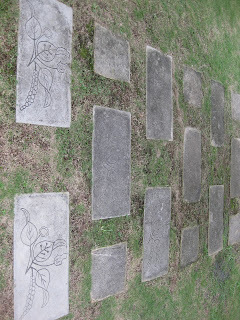 During the recent Johor Bahru Arts Festival, I was walking around Bukit Timbalan when I discovered a little footpath with flagstones that bore the pepper and gambier design. Then I recalled how this pepper and gambier motif is widely used inside the iconic Sultan Ibrahim Building. 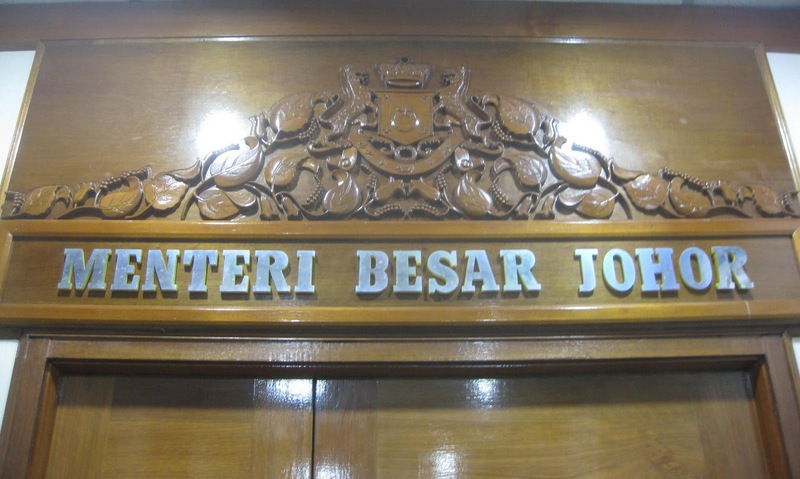 On my first visit to the Johor Chief Minister’s office, I was fascinated to see that this design was not only on the entrance façade but also on the main door into his chambers and around notice boards in the lobby! Pepper and gambier cultivation contributed so significantly to Johor’s economic progress that these humble plants now hold a place of honour in the state’s history. So the next time you passed a lamp-post that’s designed with the pepper and gambier motif or saw it on any Johor designs, you know why. 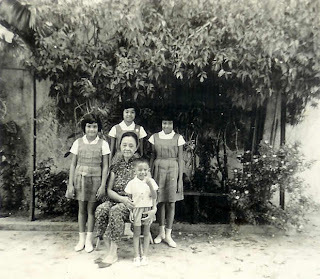 And now you can share this interesting legacy that was born from the strong relationship between the Johor Chinese and Malay communities, with younger family members and visiting friends. One of my fondest memories of Chinese New Year celebrations must be the exciting feel of crisp money notes and the distinctive new note smell that waft out from Red packets or ang pau. By Chinese definition, only those who are married are considered adults, so singles can receive ang pau for as long as they stay unmarried. So I think the custom of giving lai see, or fortune money in red packets is among the best Chinese traditions. A substantial sum of money inside the red packet would make me very happy but the significance is in the Red wrapper because the colour Red sends best wishes for good fortune. So lai see is always presented in Red envelopes. As I received red packets each Chinese New Year, I noticed how designers are coming up with more and more creative designs so after carefully emptying out the cash, I will add the ang pau envelopes to my collection. Each Chinese New Year season there will be an explosion of Red in malls and markets because Red is associated with happiness and vitality and believed to scare away evil spirits and bad fortune. 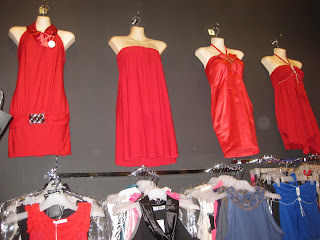 From festive decorations to home furnishings and especially clothes, Red is a common theme throughout. Traditionally, new clothes are a must for the New Year and to usher in more prosperity, the Chinese will wear clothes in Red. Red dresses all in a row! Today only the truly traditional will wear bright Red colours while most will choose milder shades in maroon or pink because this spectrum of Red colours represents all things auspicious. It’s interesting that even people who are “anti-Red” will somehow pick a garment which has some Red colour maybe only on the collar or as trimmings on the edge of sleeves. I guess it’s that deep-seated traditional streak which dictates that one must wear a bit of Red to stimulate a more positive flow of prosperity. Incidentally, my football-crazy nephews told my sister not to bother buying any new shirts for them because they will wear their football jerseys for Chinese New Year. I thought it’s a great idea to save their mum’s money and as they are keen supporters of Manchester United and Liverpool FC’s, the boys will also keep the elders happy because they will be wearing bright, bold Red. Chinese New Year is one of the best occasions to wear ethnic themed outfits designed with elegant Chinese collars, intricate frog fastenings and satin or brocade fabrics. In fact, many clever designers have married the beauty of batik with traditional Chinese patterns to create uniquely Malaysian Chinese New Year outfits. So instead of wearing a solid Red outfit, Chinese blouses and stylish cheong sam dresses are a welcome alternative. Black, a chic colour for cool people, is an absolute taboo in this season because Black and White are the colours for death and mourning. But recently I learnt from a radio chat show that there’s a way for Chinese who insist on wearing dark and somber colours during Chinese New Year to contra this taboo. How? By wearing Red underwear! “What will they think of next?” I asked myself when I heard it. The clothes industry has always been creative and now even underwear designers have jumped on the proverbial bad wagon to create both men and ladies under garments in Red. I always thought Red underwear was just a novelty or a passing fad but now I know why there’s such a lot of Red underwear in the lingerie department each Chinese New Year season! “Have you bought a new red dress yet?” a friend teased me a few days before the Lunar New Year. We exploded in laughter because it’s been a long time since we observed this “new red outfit” tradition. For us now, the outfit need not be new and red but could be in any bright and cheerful colour. Thinking about the Lunar New Year, I recalled a time when I had no say about what I wanted to wear. One of my earliest memories is wearing new pajamas to bed on the eve of the Lunar New Year. My sisters and I must have looked rather cute in pj’s of same design but in pastel shades of blue for my eldest sister, pink for my second sister and green for me. I can still picture the embroidered motif of cavorting Chinese kids in pigtails on white cotton cloth but I mostly remember how uncomfortable it was to sleep in since it was brand new. Just before the New Year arrived, mum would take us to the hairdresser to get a new hairdo to complete the whole new look. Again I had no say about my hairstyle so that probably explains why I looked so glum with my new look. The only consolation about waiting in the queue for my turn with the hairdresser was watching with interest as tai-tai’s had their hair washed, rolled and set under a helmet blower and then elaborately styled into bouffant beehives. In the morning of the Lunar first day, mum would have a new dress complete with new underwear, shoes and socks for us to wear. 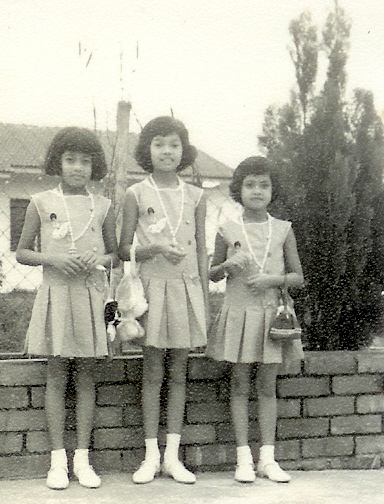 The New Year of 1965 sticks out in my memory simply because someone had this brilliant idea to dress my cousins, sisters and I alike in dresses that were of course, red in colour. Who needs to dress alike just as we were trying to establish our own identity? Decked up in new outfits, we would visit our grandparents where we eagerly anticipated receiving “lai see” or lucky money in red packets. Only married people give “ang pau” and by Chinese definition, those who are married are considered adults, so singles can receive ang pau for as long as they stay unmarried. One of my fondest memories of the Lunar New Year must be the exciting feel of crisp notes and its distinct new smell. We were taught that it’s rude to open ang pau in front of the givers so we would peep discreetly to compare how much we received. As the family expands numerically it’s quite easy to recognize the elderly who would have only grown grayer with each passing year. But when babies turned into toddlers or kids matured into young adults, they change beyond recognition. This year my cousin’s wife of less than 2 months faced the dilemma to figure out who’s who in a Lunar New Year family gathering so a discussion ensued about a project to map out our family tree. The spirit of the culture is family unity and togetherness and it’s a challenge to know who are siblings, cousins or in-laws, their ranks and official titles. With a family that spans four generations located in Malaysia and in countries that extend from nearby Singapore to Sweden, UK, Ukraine, North America and Australia, it’s a daunting task to map out details of names, ages and locations. For us, it’s not just a family tree but a family forest!